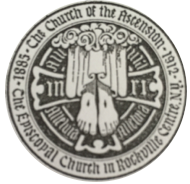 The Church of The Ascension uses the Realm online church management system. Every parishioner has access to their records and may update any of their information at any time. Parishioners also have access to an online giving statement that gives them a continuously updated report on their contributions to the church. For parishioners that wish to fulfill their pledges through online giving, the Realm system very easily allows them to set-up online contributions. To sign in to the Realm Online System, click here (insert link).